Kozeki House (武家屋敷小関家) is Samurai House remained from late 18th century. It is located right next to Shiraishi Castle. This house was for a middle class Samurai with small but nice garden, and tatami room. This samurai house of Kozuka was built in late 18th century. The map of Shiraishi Castle in 1761 shows this house with name of Kozuka. The neighbors of this area were for middle class samurai. 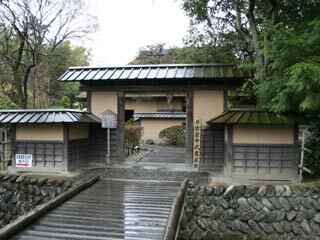 Therefore, the structure of this house shows the life of those class of samurai. There is no formal gate of house, but it has directly entrance to tatami room. There are Doma, wood floor room and tatami room in this house, and has great back garden. The house takes Toriiken building style. Main entrance is facing a river.